CROSSLYNE is the master design of Chicago jewelry artist Julie Crosson. Her Motto "simple shapes, strong statement" weaves through her entire collection to offer a stunning combination of day to night pieces. Using natural materials like brass, wood, and horn she handcrafts her jewelry line with a nod to architecture and sculpture. 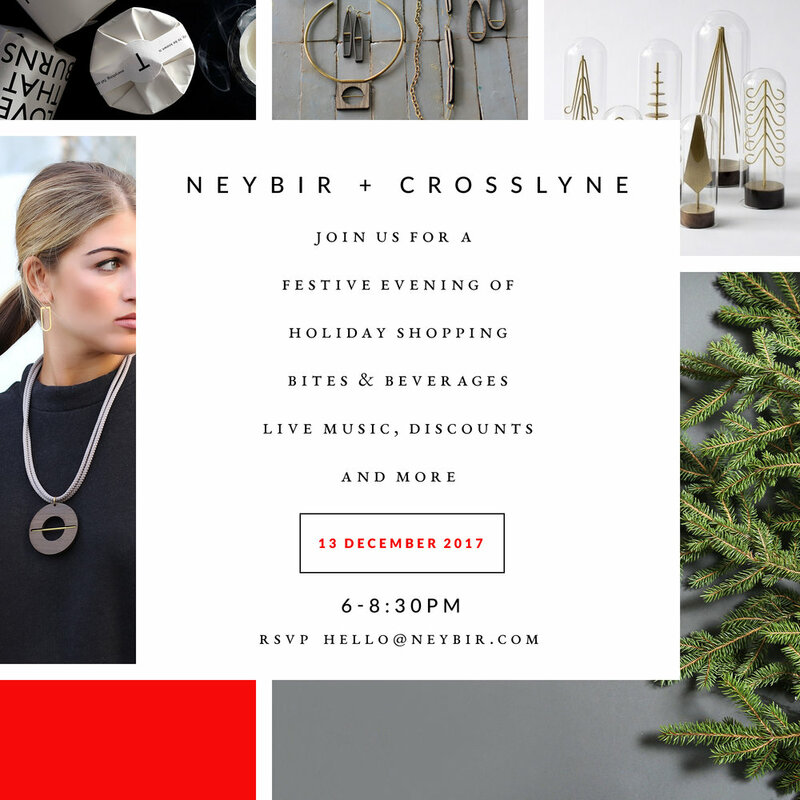 We've been open since June, busy ironing out the wrinkles, crossing our t's and dotting our i's and at long last we are ready to celebrate our excitement for what NEYBIR has grown into these past few months! Please join us Saturday, November 19th for our official GRAND OPENING event. We have lot's of fun in store (pun intended)! From class demos, to chocolate tasting, we have something for everyone. Shop. Create. Sip. Mingle. We can't wait to see you! Check back soon for the official day of event schedule.